Thomas Rowan resides in Concord Township. He is married to Sabrina, a teacher at McKinley Elementary school in Fairport Harbor. They have a daughter, Macey, who attends West Virginia University. Thomas attended Lake Superior State University and has a degree in Natural Resources. He started his law enforcement career with the Geauga Park District in 1986 as a park ranger. 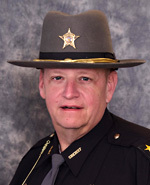 In 1987, Thomas was hired at the Chardon Police department and worked as a patrolman there until 1996 when he was hired by the Ohio Division of Wildlife. Thomas was the state wildlife officer assigned to Lake County. He later transferred and worked for several years as the state wildlife office assigned to Ashtabula County. Thomas went on to supervise the 2003 and 2005 Wildlife Officer Training Academies for new wildlife officer recruits, then transferred back to Lake County. Thomas was promoted to District Law Enforcement Supervisor in 2010 to oversee law enforcement operations in the nineteen Northeast counties that comprise the wildlife district three area. In 2011, Thomas was promoted to Assistant Chief of the division of wildlife where he oversaw statewide law enforcement operations, statewide wildlife management operations, statewide fisheries operations and statewide information and education operations as well as the endangered species program and the division of wildlife flight operations. Thomas retired from the division of wildlife in 2014. He started working part time for the Lake County Sheriff’s Office in 2015 in the court services division as a special deputy. Thomas teaches part time at the police academies of Polaris Career Center, Kent State University, and Youngstown State University. Thomas is a member of the Lake County Rod and Gun Club, a life member of the Rocky Mountain Elk Foundation, member of the National Wild Turkey Federation, Whitetails Unlimited and Ducks Unlimited, and the Wildlife Society. Thomas is also the president of the Ohio Game Protectors Association and the president of The Ashtabula Lakeshore 114 FOP Lodge.